Simon Says Wednesday Challenge – Photo Inspiration! The lovely Jenn Shurkus made this lovely mood board for us to follow, you can use the colors, pictures, whatever you like to create your project. If it’s not obvious please let us know what element you used in your write up. 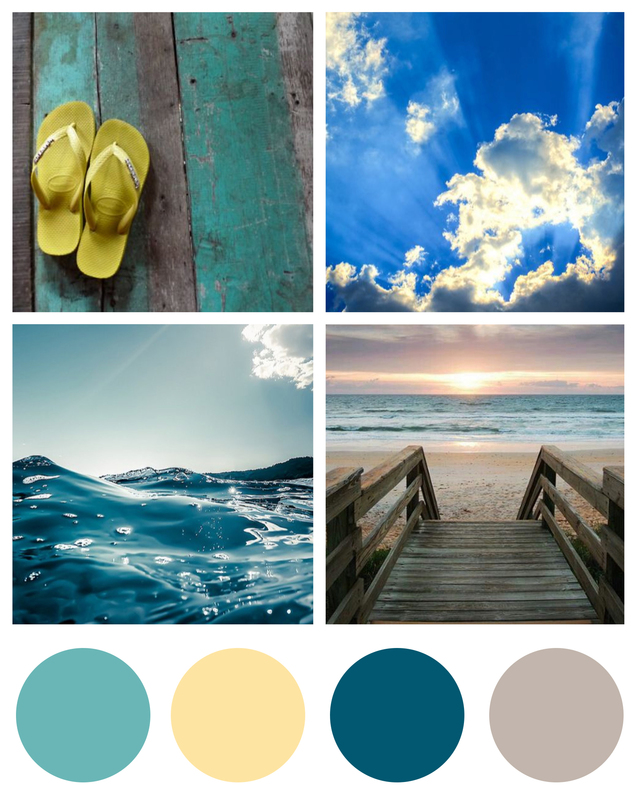 My take on the challenge is inspired by both the colours and ocean picture from the photo inspiration. 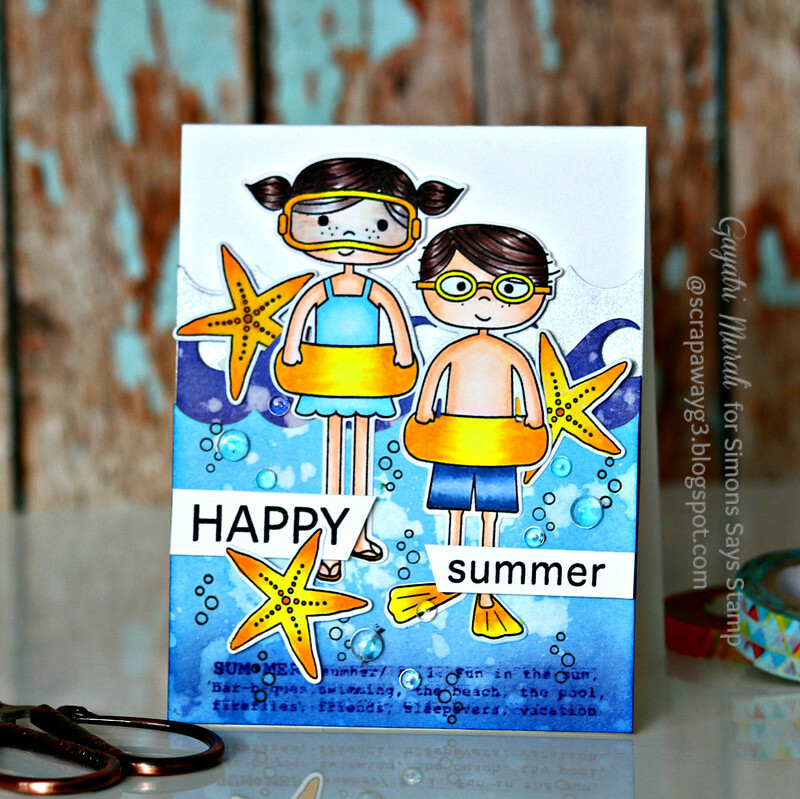 I have used Pool Play stamp set, Summer Fun dies, Sail Away stamp set and coordinating dies and Border Waves dies from Simon Says Stamp Summer collection. I sponged Blueprint Sketch and Mermaid Lagoon on either end of Strathmore watercolor paper. I then spattered clean water and blotting them off with paper towel. This added texture and bubble like effect on the paper. I used the Waves border die and die cut the waves on end of the sponged watercolor paper, trimmed the paper at the centre so I can layer them. I also used the third Wave border die to die cut a grey vellum paper for the third layer. For the focal point, I stamped the star fishes from Sail Away Stamp set, the boy and girl images from Pool Play stamp set using Simon Says Stamp Intense Black ink, coloured with copic markers. I then die cut them using coordinating dies. 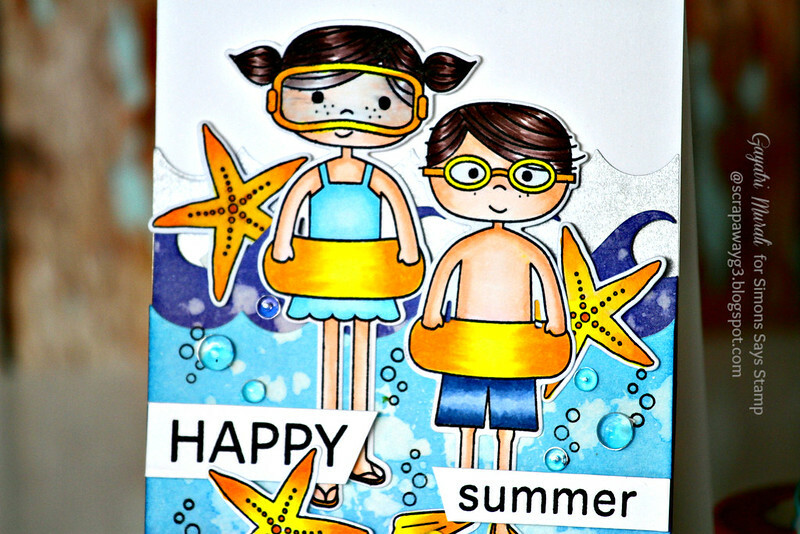 On the layered waves card front, I stamped the summer phrase from Pool Play stamp set on the bottom of the card using Blueprint Sketch distress ink. And also the bubbles all over the waves using black intense ink. I adhered the copic coloured die cuts on top of the waves with sentiment stamped on strips of white cardstock. I felt the clear droplets from Pretty Pink Posh was perfect addition on this card. Fabulous card Gayatri, I love all the little details you added – so fun. Hope everything's going ok with your dad. 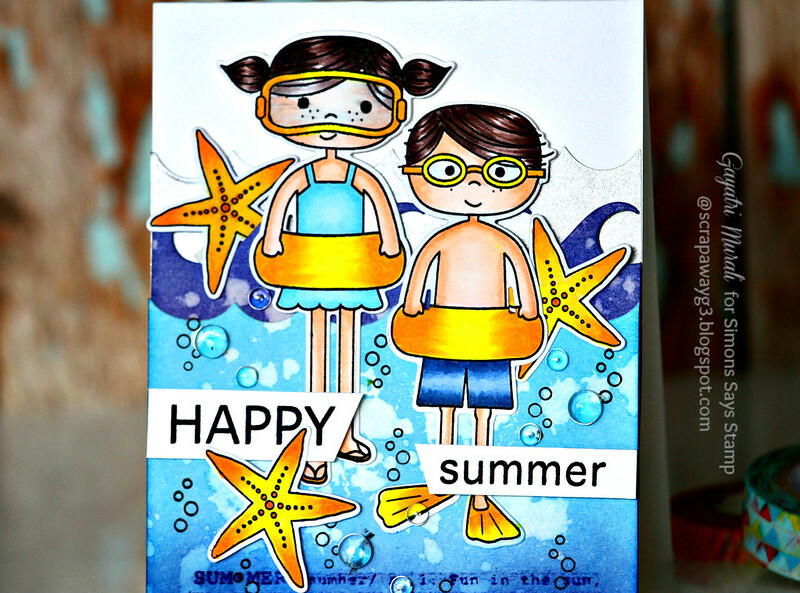 Love your summery fun card, Gayatri! 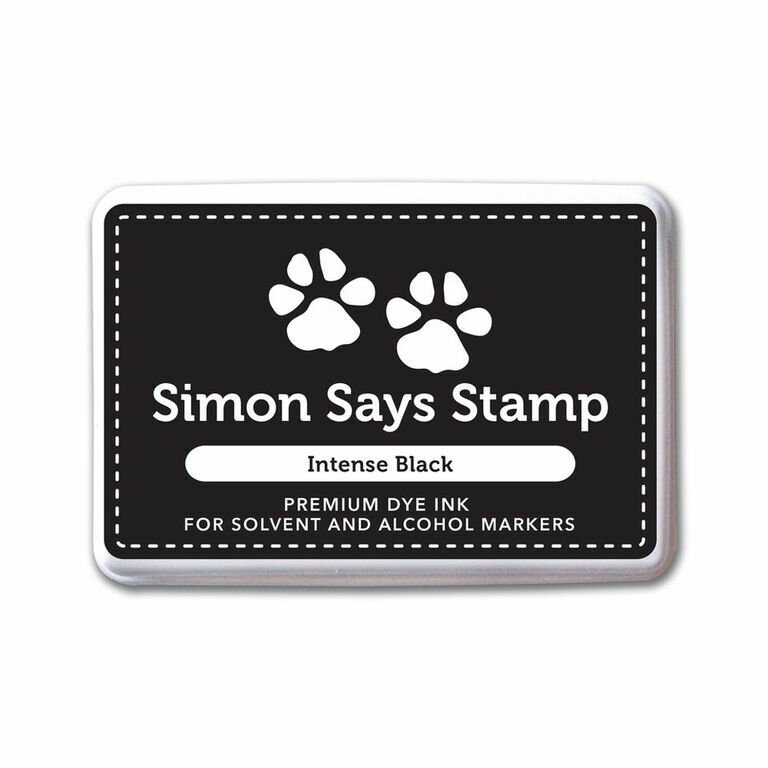 What a fantastic mix of Simon elements! Love the rich and detailed coloring! SUPERB, Gayatri!